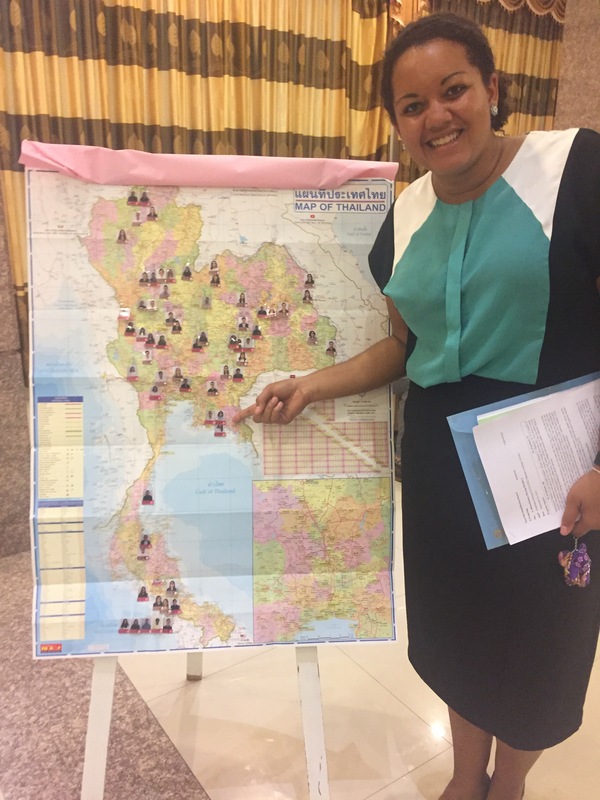 Ever since I accepted my invitation to serve in Peace Corps Thailand the most commonly asked question was, “Where will you be living?” For months I’ve been fielding that question and having to explain that I’ll spend 2.5 months training before I know my site. Well, finally, the wait is over! I’ve been asked to serve in a rural rubber tree farming community in pâak dtà-wan-ɔ̀ɔk (Eastern region) of Thailand. My am-pəə (district) is called Khaochamao in the jang-wàt (province) of Rayong. Reality is settling in quickly. We’re in week 10. That elusive final week of Pre-Service Training that felt like it may never arrive….then I blinked…and now it’s here. For the last 9.5 weeks we have been integrating ourselves into the community of Singburi. We had training schedules that kept us busy from sunrise to sunset and host families to spend time with after that. This final week is the culmination of our hard work. We have taken our final language exams, we found out our sites, and on Sunday we will part with our host families to return to the Golden Dragon hotel that was our first home in Thailand; back when we were freshly jet-lagged newbies. On Monday, a dream I’ve had since high school will come true; we will swear-in. Officially transitioning from Peace Corps Trainees to Volunteers. We’ve pushed limits, tested patience, broken down, built up, cried it out, brought it in for group hugs, laid it all out over cold beers or ice cream, faced defeat, cheered breakthroughs, celebrated differences, walked friends through dark days, spent quality time fixing flat tires, lent talents to others, received advice, weathered constructive feedback and occasional criticism, and allowed space to say “I don’t know” (there is SO MUCH we don’t know). The past 10 weeks have been the sort of challenging that can’t ever be fully explained, it can only be experienced. I’m tired, but I’m full. What am honor it has been, and is, to be here. What a privilege it is to serve. What joy it brings to be able to come to this transition with a smile on my face, passion in my soul, and excitement on my side.